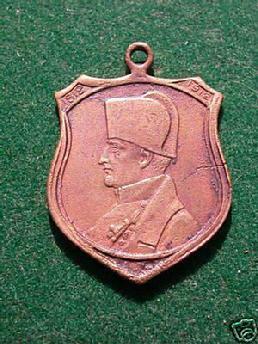 You are looking at a light bronze medal, One Hudredth Anniversary of the War of 1812. This medal was institued on August 26, 1912. 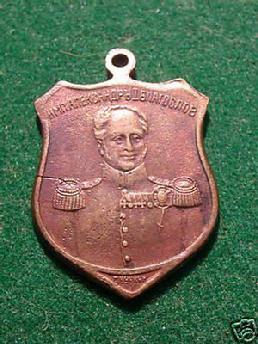 Awarded to generals, commisioned officers, non-commisioned officers and enlisted men in the Russian Army and Navy, and to civilian and military personnel who were official representitives at the ceremonies and the parades on the field of Borodino; and to all individuals who took part in the organization of the celebration of the hundreth anniversary. Obverse has bust of Emperor Alexander I facing right. Reverse has the Inscription, 1812 THIS GLORIOUS YEAR HAS PASSED BUT THE DEEDS COMMITTED IN THIS YEAR WILL NOT BE FORGOTTEN 1912.